Exotico Skull embroidered patches feature with skull figure in exotico style, sewed by six nice colors of thread to make skull more cute and beautiful. 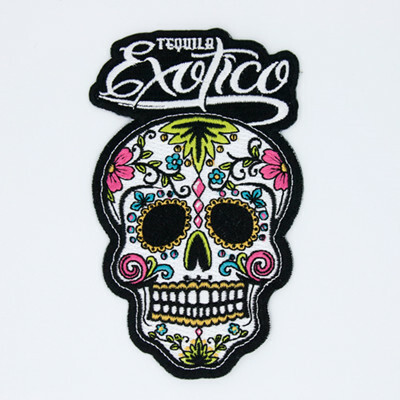 And the top of Exotico skull embroidered patches are attached with symbol of organization, depicts with "Exotico". Great gifts for your clubs and groups with these awesome embroidered patches.